My grandfather learned to use the Keurig coffee maker in the shop office — and that’s about as much technology as he needs to know. Growing up as a millennial, however, I have been surrounded by technology all my life, in every day life. One thing we do have in common is our passion for farming. A passion that’s lasted four generations and counting. My family moved to our home farm located between Starbuck and Oak Bluff, Man. in 1936. Grampa worked the land by horse and shovelled grain by hand; a lot of hard labour. Nowadays, in modern agriculture, farming is a lot different. It’s still a lot of hard work, including long days and some stressful times, but the new technologies make our farming operations more efficient. Take for example, the horse versus the tractor. When Grandpa and his brothers first started farming, they used a team of horses or a John Deere model “D” on steel wheels to pull implements, such as a rope mechanism that would attach to the tractor and lower its load when released. Tractors later came out with hydraulic systems. The purchase of a brand new John Deere “G” in 1949 with a hydraulic cylinder was a huge change for the farm. It allowed Grampa to move implements up or down with the push of a lever, instead of the cumbersome rope system. 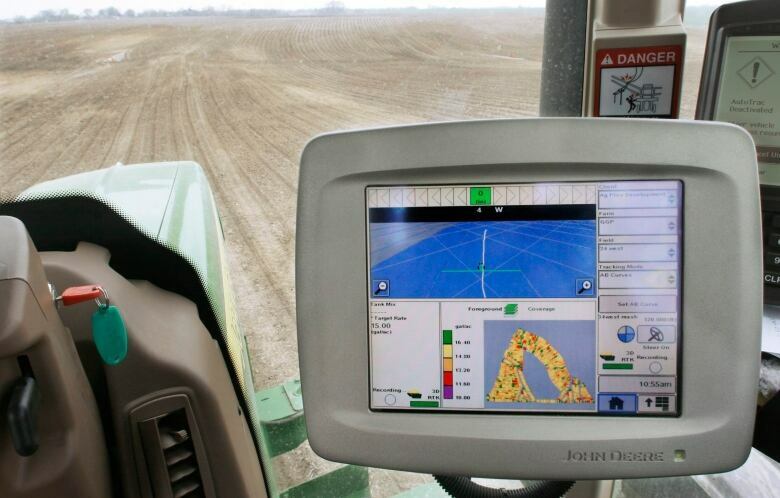 Then more technology; by the time my dad and uncle were running the farm, we had GPS and autosteer. Yes, Google Maps is very handy on our phones to navigate quickest routes in the city. But on the farm, we use GPS systems to allow the tractor to make perfectly straight lines. Then there’s autosteer. It saves us time, fuel and crop inputs such as seed, fertilizer and chemicals, by not overlapping throughout the field. And it didn’t stop there. New equipment comes with computers built in to monitor the machine’s operation and display more information. Some software programs now give us satellite imagery, crop input and information on the soil and weather. All of this helps us save money, increase our revenue and improve record-keeping. Other equipment has also changed in radical ways. 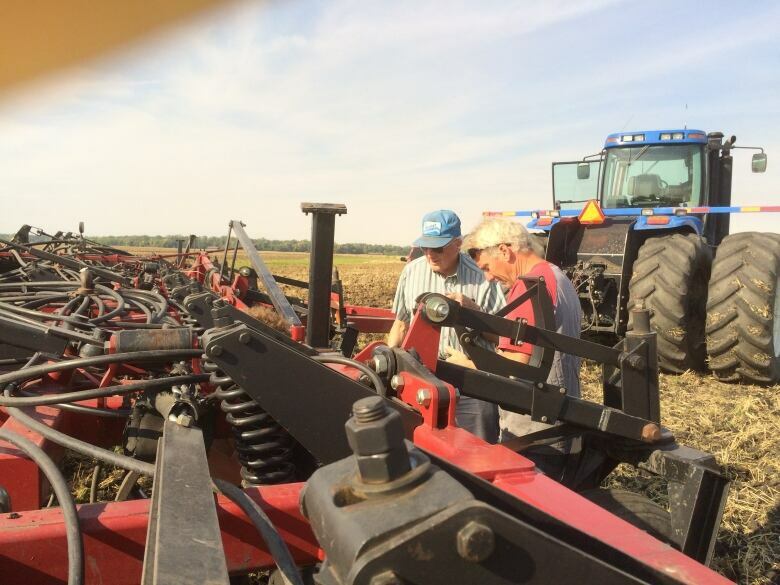 In Grampa’s days, he seeded with discers — like a disc with a seed hopper on top. During dad’s generation, we went to an air seeder. In today’s agriculture, we are moving to machines that plant with higher precision. In Grandpa’s days, sprayers were non-existent or extremely basic. In dad’s days, early versions of self propelled sprayers came out. Today, sprayers come self-propelled and decked out with auto steer and sectional control. Some even give farmers the option to spray at different speeds, different rates and different water pressures with ease. The technology has not been limited to just the tractor or equipment either. We’ve not only changed how we farm; we’ve changed what we farm. Grandpa’s crops usually included wheat, oats, barley and flax. When chemicals became available, crops would get one pass of herbicide. Dad’s generation added rye grass, canary seed and the new biotech crops of canola and soybeans. Nowadays, we still grow wheat and oats, but we also grow a lot more of the biotech crops, like canola and soybeans. And thanks to more crop research, we now give many of our crops a fungicide spray as well, which ensures a higher quality and less damage to the grain. Technology continues to advance the agriculture industry, but what will come next? Tractors that drive themselves? Sprayers that scan the field to identify and spot spray only weeds? New varieties? New crops? Who knows? All I know is that I’m excited for the future and can’t wait to see what new innovations are coming. As for Grampa, he’s just happy to watch us figure it out with a cup of coffee.